Basic manners are more than just foundation behaviors like sit, down, watch, leave it, and stay. Basic manners are about calm focus and listening to you — no matter where you are. Our basic manners programs teach foundation behaviors as well as focus—because you’re much more likely to get the one if have the other. We all want a polite dog. One who’s fun to live with and easy to take places. That starts with basic manners. And basic manners start here. Our trainer will train your dog for you in your home and out and about where you need him to be on his best manners. Watch us train your dog or get to work on your to-do list. We’ll meet with you once a week to transfer our training results and give you tools to maintain your dog’s newly learned behaviors. With our trainer as your private coach, learn the technicalities of dog training. Schedule sessions to your home or outdoors at a time convenient to you. These fun sessions with you and your dog will focus on the behaviors you want most. 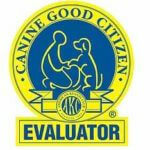 Your dog comes to stay with our loving, certified professional trainer to learn the rules of your home. Few things are more frustrating than calling your dog over and over again while he blows you off. Whether you want a more responsive dog at home or need a dog who comes when called at the park, we’ve got a number of ways to get you there. Imagine a dog who comes when called—the first time!—no matter that squirrel, rabbit hole, cat poo, or game of chase he’s enjoying. Our trainer teach your dog to come you — in your home and out and about. Watch us train your dog, participate in training with us or get to work on your to-do list. We’ll meet with you once a week to transfer our training results and give you tools to maintain your dog’s newly learned behavior. Our trainer will meet you at a time and place convenient to you. These fun sessions with you and your dog will get your dog running your way at lightening speed and with enthusiasm. We’ll customize recall training to your needs, goals, and lifestyle to maximize success. Our trainer will train your dog for you, taking training walks in your neighborhood and the places you need him to walk calmly. Our trainer will meet you at a place and time convenient to you. These fun sessions will get both you and your dog on the same walking page. We’ll customize anti-pull training to your needs, goals, and lifestyle to maximize success. Want more personalized help when enrolled in a class? Combine Group Classes & Private Training. Group Classes are great to learn the ways to build a foundation and if you need personalized help — get the benefits of both with our Combo Pack. Why choose D for Dog? Results are great. They’re even better when getting them is fun for you and your dog. Make the most of the services we offer, by doing a mix and match to meet your goals and the needs of your busy schedule, and save money too.